The 2018 USA team, led by Jeff Walz, topped six straight opponents by an average of 47.5 points per game on its way to a gold medal from Aug. 1-7 in Mexico City. *Qualified for the 2019 FIBA U19 World Championship. The USA opened with a 87-42 win over Argentina in which it forced 30 turnovers and shot 60.0 percent from the field (36-60 FGs). The USA got 13 points and four assists from Aijha Blackwell; 13 points and six rebounds from NaLyssa Smith; a game-high five assists from Jenna Brown; and a game-best nine rebounds from Sedona Prince. In its second game, the USA was impressive in a 115-39 victory over Chile – compiling a 78-27 rebounding advantage, 34 second-chance points and 49 fast break points to earn the win. The USA’s depth also was on display as 83 points came off the bench, and six players finished in double-digit scoring. Christyn Williams paced the USA with 19 points and 10 rebounds; Maori Davenport added 17 points and nine rebounds; Blackwell scored 13 points and recorded five assists and five steals; and Prince was credited with 10 points and 11 rebounds. Trailing Puerto Rico midway through the first quarter of its final preliminary round game, the USA changed the momentum with a 22-4 run to close the period, and then went on to secure a 103-59 victory. Smith led the USA with 24 points and seven rebounds; Ashley Joens contributed 11 points and eight rebounds; Rhyne Howard; scored 11 points to go with her six steals; and Nazahrah Hillmon-Baker and Olivia Nelson-Ododa each finished with 10 points. Capitalizing on its eight advantage over El Salvador, the USA held its opponent to just 14.3 percent shooting from the field in a quarterfinal 87-27 win on Aug. 5. The USA also compiled a 58-25 rebounding advantage, shot 56.1 percent from the field and featured three players in double-digit scoring. Davenport set a USA women’s U18 single-game record with six blocked shots. Nelson-Ododa finished with 14 points and eight rebounds; Hillmon-Baker contributed 13 points and seven rebounds; and Joens added 12 points. A 17-0 run to close the second quarter gave the USA the momentum it needed to defeat Colombia 83-47 in the semifinals. Brown led the USA in scoring with 17 points on 6-of-7 shooting; Joens and Howard each contributed 14 points; and Nelson-Ododa added 12 points. Trailing 18-14 after the first quarter of the gold medal game against Canada, the USA stepped up its defensive pressure and ran away in the second half with an 84-60 victory. Rhyne Howard was named tournament MVP, and Davenport joined her on the all-tournament team, along with Canada’s Christina Morra, Argentina’s Florencia Natalia Chagas and Colombia’s Mayra Caicedo. By virtue of their top four finishes, the USA, Argentina, Canada and Colombia all qualified for the 2019 FIBA U19 World Cup. 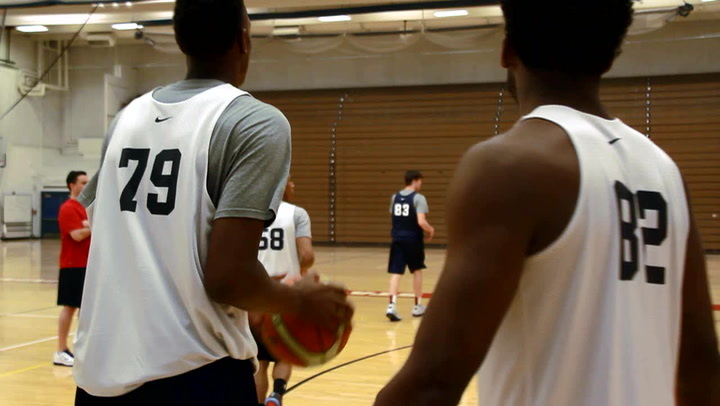 Three-time USA gold medalists Josh Jackson, Jason Tatum and Harry Giles offer advise to the 26 players involved in the 2016 USA Men's U18 National Team training camp that gets underway Tuesday. 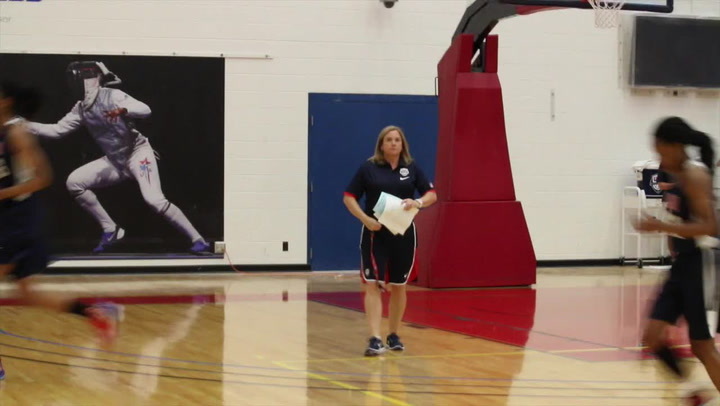 USA Women's U18 National Team coach Suzie McConnell-Serio discusses the strengths of the team that was selected Monday following three days of trials. "Great players don't take plays off," says Wheeler H.S. (Georgia) standout Jaylen Brown, who helped USA Basketball to gold at the 2014 FIBA Americas U18 Championship and will play in the 2015 Nike Hoop Summit on April 11. Brown talks about the importance of staying positive -- and he even has a Latin phrase to remind him. Brianna Turner is a five-time gold medalist with USA Basketball, most recently at the 2014 FIBA Americas U18 Championship. Currently a freshman at Notre Dame, Turner talks here about the challenges of balancing basketball with school work. Franklin (Ohio) High School guard Luke Kennard, who helped USA Basketball win gold at the 2014 FIBA Americas U18 Championship, will be a freshman next year at Duke University. 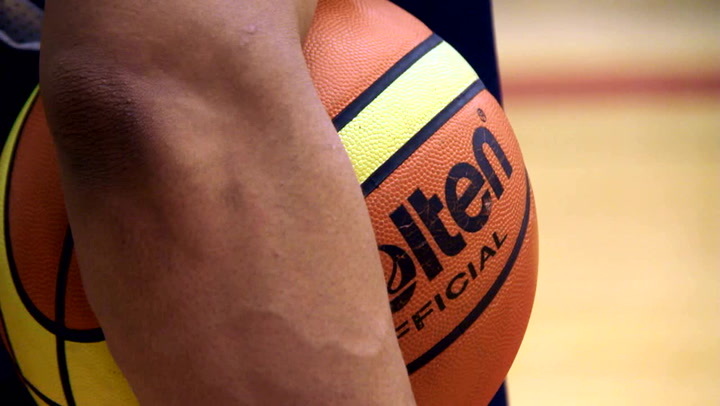 Here, Kennard talks about what it takes to succeed.